To be honest, I wasn't sure if I was going to hit post on this blog post. It's a topic I've actually been nervous to talk about it on here because of being ridiculed but never the less, I'm going to share my thoughts because so many woman and friends keep asking me to share my thoughts on it. When I first became pregnant 3 1/2 years ago with our daughter Lily, I couldn't wait to gain some weight. As a preemie weighing only 2lbs 2oz when I was born, weight was something that never entered my vocabulary or radar my entire life. While I know some of you may grumble at that thought, being skinny can be just as daunting as being bigger boned. I was always told I don't eat enough ( which was always untrue ) and had an extremely fast metabolism. Fast forward 27 years and gaining 55 lbs with my daughter after all was said and done. 30 of those pounds however were due to be developing preeclampsia my 36 week of pregnancy and the fluid just came rushing in! I remember feeling almost disgusted with myself with the extra weight, even though I knew I couldn't help it with all the fluid and Lily swimming around in my stomach. This time around, I vowed to work and do my best to gain a healthy amount of weight part in fear of my preeclampsia returning ( so far my blood pressure has been good! ) and added in working out 3 times a week. I felt like I was doing great, gaining already about 15 pounds when suddenly I looked at myself in the mirror and noticed how large my face had become, how despite doing an elliptical for 45 minutes and weights for 15 minutes my arms and thighs almost had doubled in size over the last few weeks. Was nothing working to help keep my weight at bay? Of course being hormonal that I am, I began to cry to myself. And then, my little guy started moving and squirming inside my belly and I felt regret, anger and heartbreak that I was making something as gaining weight being pregnant such a huge deal. The thing is, I felt as if many of my friends who were pregnant looked amazing! They had the glow, the shiny hair, the adorable bump and no weight gain anywhere else. Jealous perhaps? You bet my friend. But as normal as that can feel, I had to remember that it shouldn't matter and I shouldn't compare myself to them. Just being pregnant should be a blessing in itself correct? The weight gain is a factor in providing for your baby. To help it stay nourished, content and growing strong and healthy. 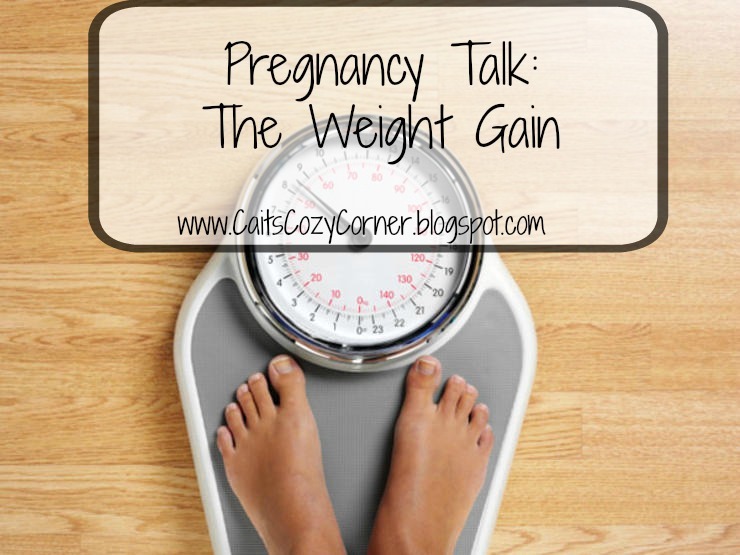 The weight will come off in a few weeks, month or years so enjoy being pregnant, gaining weight and providing for your baby. We all go through highs and lows of pregnancy and if you're feeling alone, send a message my way! I've already chatted with a few close friends of how I've been feeling and immediately received support that I've been needing and I know if you've ever felt the same like myself, you know you need that in life. I'm sure you look great! I found that I got much bigger much faster the second time around. I think it's just that the body knows more about what it's doing with your second. Enjoy this time! I miss being pregnant. First, congrats on the baby boy!! I need to go back and catch up on your blog :) Second, it's so easy to pick ourselves apart and feel bad about certain things, that's completely normal too, but you're right, the blessing itself is being pregnant and carrying a healthy baby. I gained so much weight with all my pregnancies and never felt beautiful but at the end of the day it didn't matter at all. I hope you continue to feel good and your blood pressure stays down! It is only a temporary time in your life and you are busy growing a human inside of you, just think of how amazing that is, of course you have to gain some weight. Hang in there, chin up, you are beautiful.